The little boy can't go to kindergarten because he's got chickenpox. 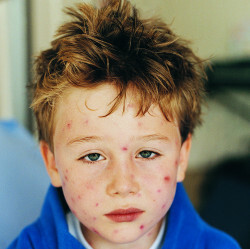 Measles are mostly a childhood disease. Doctor, how can we treat German measles? Have your children had scarlet fever already? Some of the boys are suffering from mumps. Pneumonia can threaten your life. An ulcer is serious, you need to see a doctor! My grand-father died from cancer. 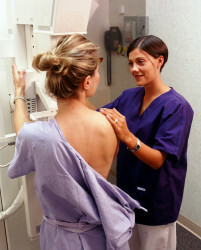 Older people need regular cancer screenings. The old lady is suffering from Alzheimer's disease. The doctor is a specialist of Parkinson's disease.